It never fails, the weekend before a major holiday seems packed with community events, concerts, etc. – sort of like a warm-up to the holiday? And the forecast indicates this weekend will be a warm-up in more ways than one. Outdoor festivals continue, with the return of the Freedom Jazz Festival at a new location on Saturday; the Dave King Trucking Company returns to the Artists Quarter for two nights; there’s a farewell night at the Icehouse for Evan Montgomery as he heads off to Cal Arts; Ben Sidran brings his keys and stories to the Dakota; and new Mom and Dad, Tanner Taylor and Nichola Miller, appear together at Jazz Central to take us into the weekend. And of course this is just the tip of the jazz hill for the week. Friday, August 23. He just celebrated #94, so why not check out Happy Hour at the Dakota and give Irv Williams your birthday wishes? He’s still holding down the early evening gig with Peter Schimke and sometimes Billy Peterson. Can’t think of a better way to end the work week! 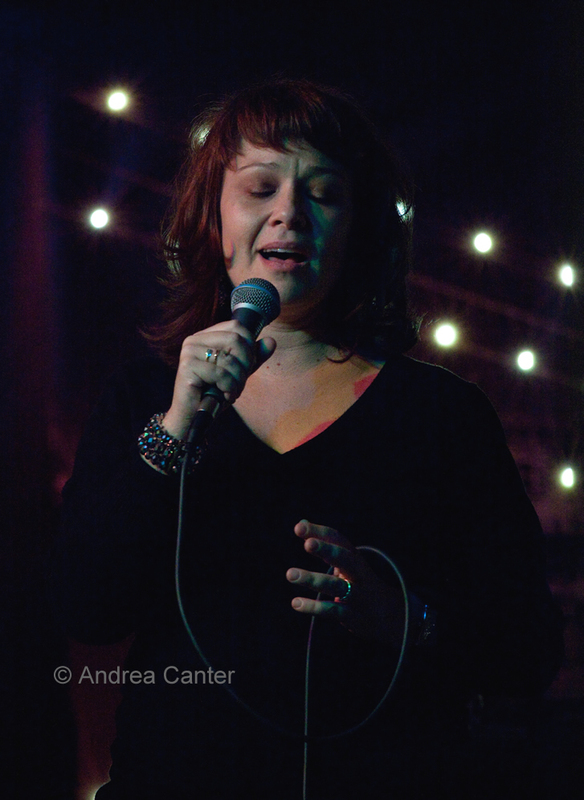 Parma 8200 continues to bring swinging music to the west burbs, tonight featuring savvy vocalist Rhonda Laurie with Tanner Taylor and Tom Lewis. Summer seems to be a great time to visit Parma’s bar and lounge, as many patrons prefer to be outside on the patio, leaving a more quiet and intimate space for jazz and relaxing with the fine offerings from the menu. (Check out the cannoli.) And remember that every Saturday night, it’s the Benny Weinbeck Trio, usually with Gordy Johnson and Phil Hey. Friday-Saturday, August 23-24. James Buckley and Bryan Nichols make for a very comfortable give and take among two of the area’s finest improvisers, at the Icehouse this weekend for the dinner sets. And at no cover, one of the best bargains in area music. At the Artists Quarter, the Dave King Trucking Company settles in for two nights of spontaneous fun and magical mayhem, with Dave’s steady pals Brandon Wozniak, Erik Fratzke and Adam Linz. The guys laid down tracks for a vinyl release, so expect to hear some previews as well as favorites and new tunes. All original stuff. Saturday, August 24. 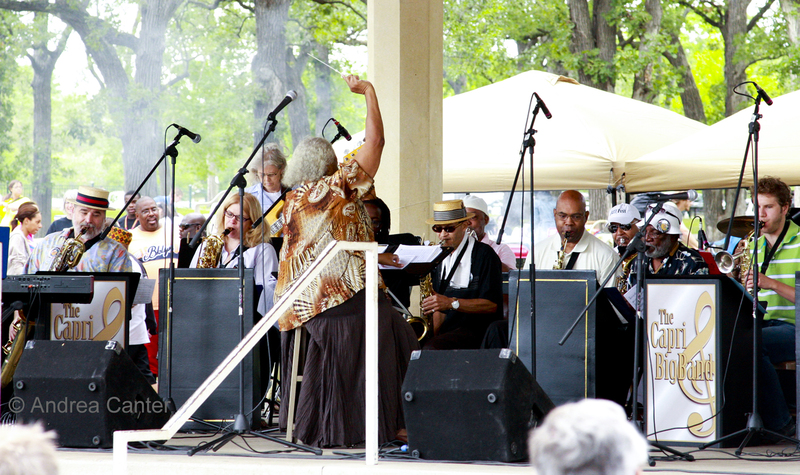 For the past 15 years, with a few “skips,” the Freedom Jazz Festival has brought jazz, fun, education and a strong commitment to community to south Minneapolis. For the first 11 festivals, the excitement was centered around Minnehaha Falls Park. Now the vibe moves west to Martin Luther King Park, where the festival becomes part of the community celebration of the 50th anniversary of Dr. King’s “I Have a Dream” speech and the famed March on Washington. Festivities start at Sabathani Center at 11 am and proceed to the park where music kicks off at 1:15 pm, running til 7. 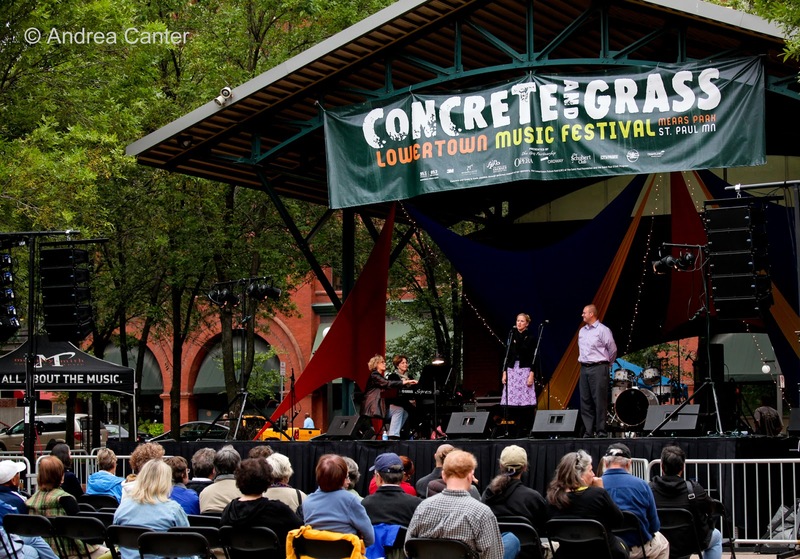 Music this year includes the Capri Big Band, Minneapolis Jazz Workshop, Walker West, Kathleen Johnson and Best Kept Secret, and the Freedom Jazz All-Stars with Irv Williams. Free and family-friendly. There’s an open jam at the end. Sunday, August 25. “Jazz in the Vineyard” continues at the Alexis Bailey Winery with afternoon wine tasting and jazz, today featuring a double horn treat with trumpeter Jon Pemberton and saxophonist Jimmie Wallace. So you can have your jazz and drink it, too! Monday, August 26. 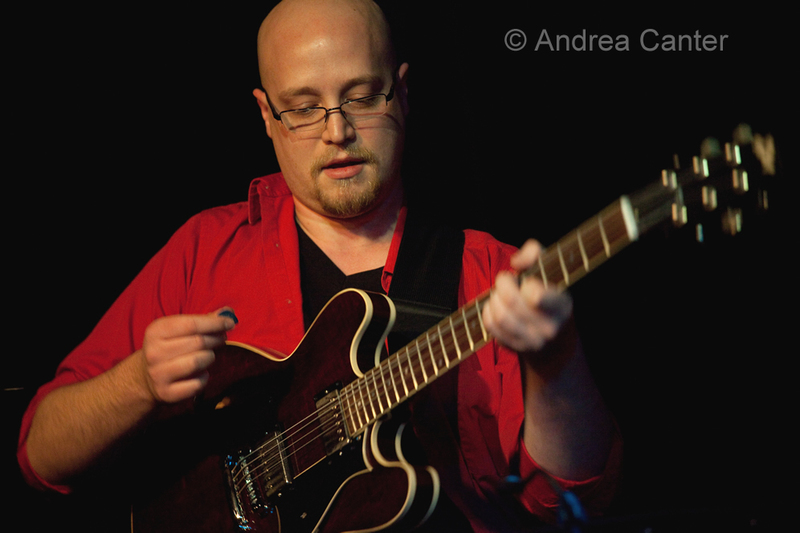 With more notice, I would probably include JT’s Jazz Implosion every week… tonight at the Icehouse, it’s a farewell shindig for guitarist Evan Montgomery, who heads off to grad school at Cal Arts, leaving a big hole in several bands. Two of those units will gig big on the Jazz Implosion calendar, back to back featuring the Evan Montgomery Quartet and Lulu’s Playground. 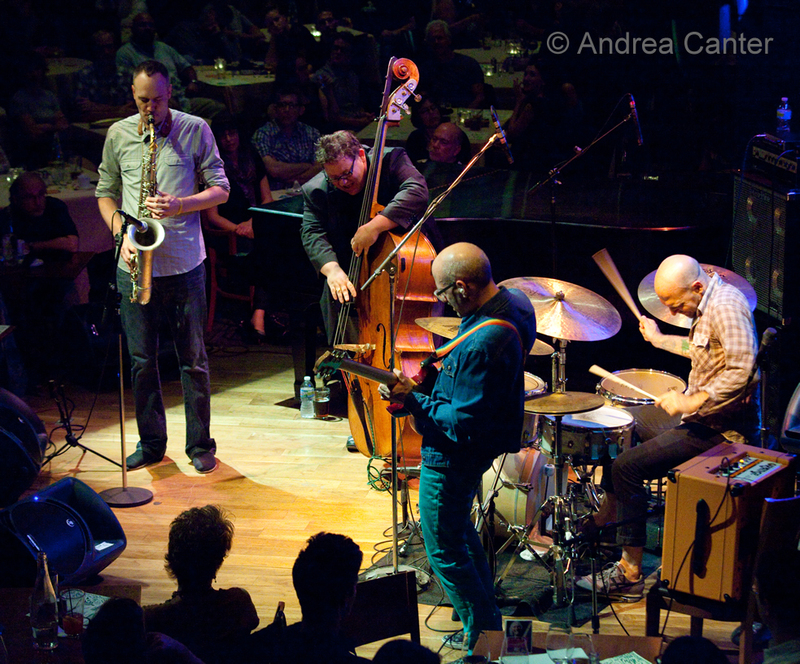 Says Evan, “I thought it would be fitting to have one last show where I get to play with my favorite people…” Starting out, the quartet features Adam Meckler, Matt Peterson and Jay Epstein (“new tunes and some sweet covers”). The second round is the very quirky and very musical Lulu’s Playground with Meckler, Steven Hobert, and Cory Grossman (that’s guitar, trumpet, accordion and cello! ), making “awesome and weird music.” Hopefully Evan will return to the Twin Cities after completing his program. Tuesday, August 27. Not sure if Evan Montgomery will hang around long enough to join the Adam Meckler Orchestra one last time. But either way, the popular big band returns for its now-monthly gig at the Artists Quarter, following the weekly installment of the Cory Wong Quartet. 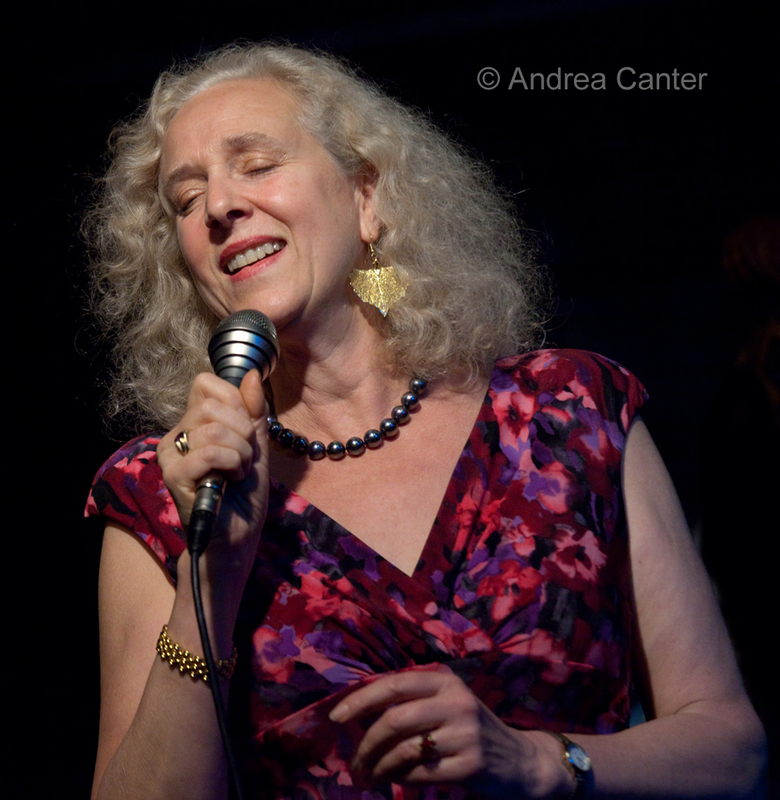 After closing out a year or so of monthly shows at Jazz Central, the AMO began a similar residency last month at the AQ, and as expected, packed the house. The audience of this band—and their music-- seems to fill up whatever space they play in. Catch some of the area’s top young musicians and always a few veterans as well when the AMO is on stage. Or in this case, on and off the stage. 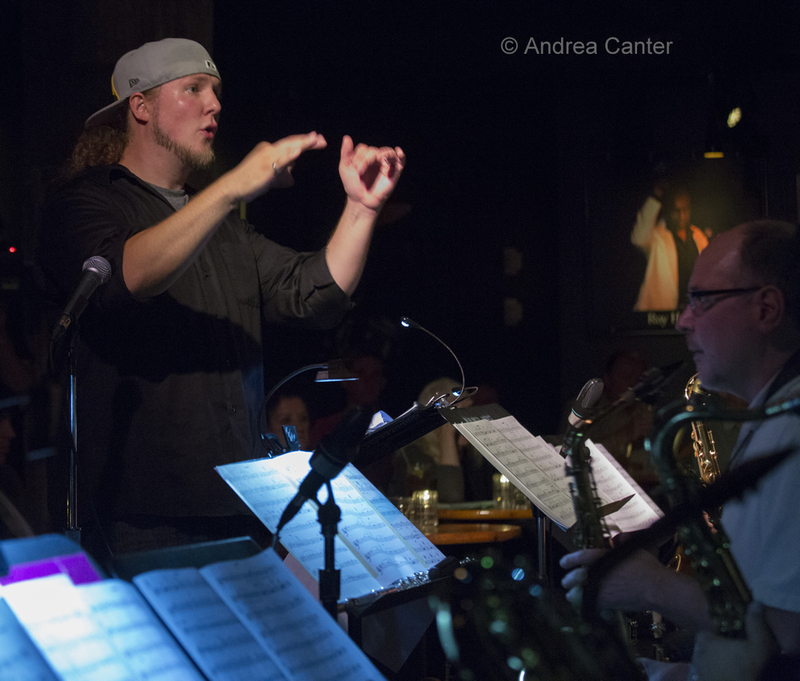 And you can count on some new tunes from composer/bandleader/trumpeter Adam Meckler. Wednesday, August 28. Two weeks I heard the debut of Mountain King, three bassists out for fun and music, giving us plenty of both. 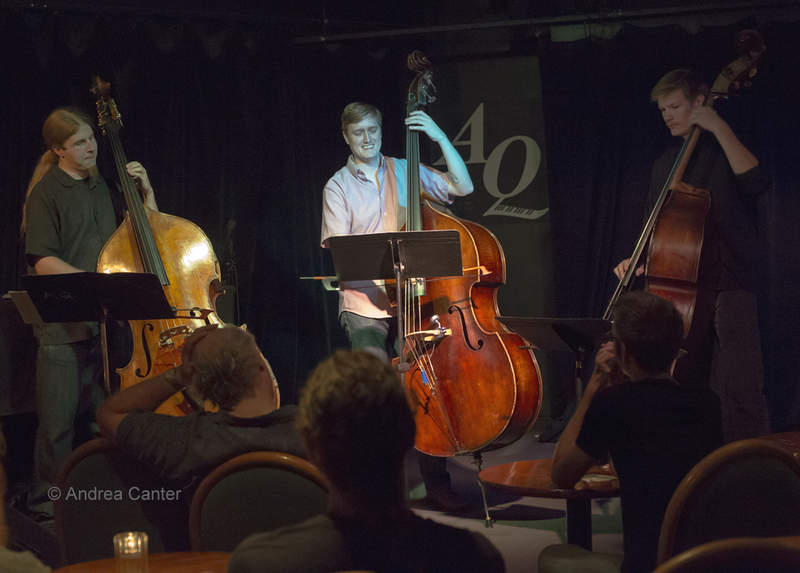 Graydon Peterson, Jeremy Boettcher and Brian Courage play some originals and some truly original arrangements, this time at Jazz Central. Talk about getting up close and personal with a bass – or three. 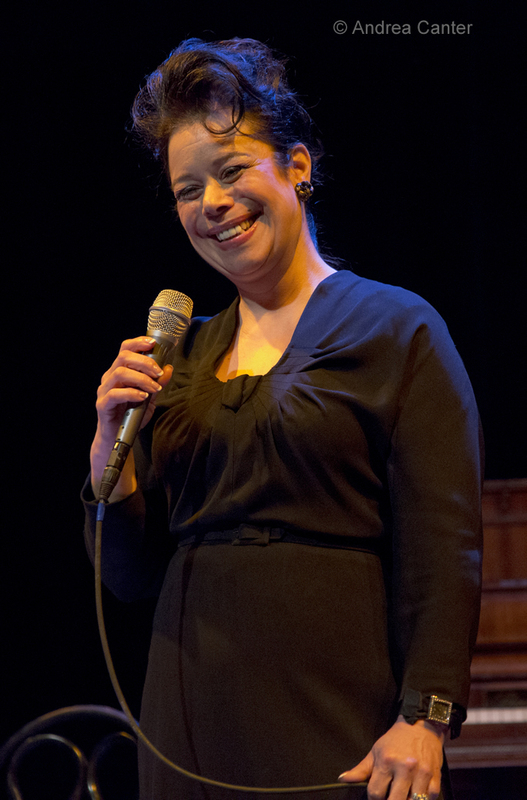 Over at the Artists Quarter, Lucia Newell makes a long-awaited return, bringing her unique brand of bossa and bebop. Thursday, August 29. 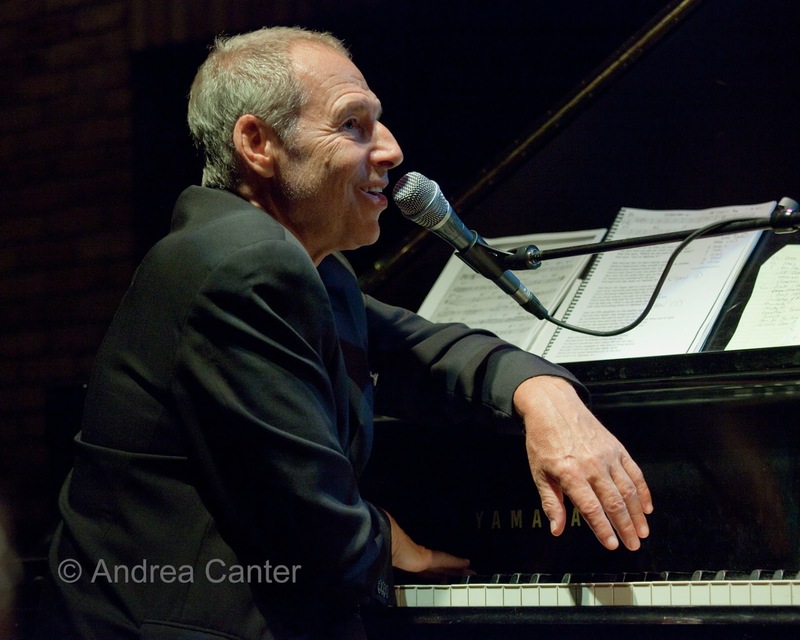 Pianist, writer, broadcaster Ben Sidran is back at the Dakota. 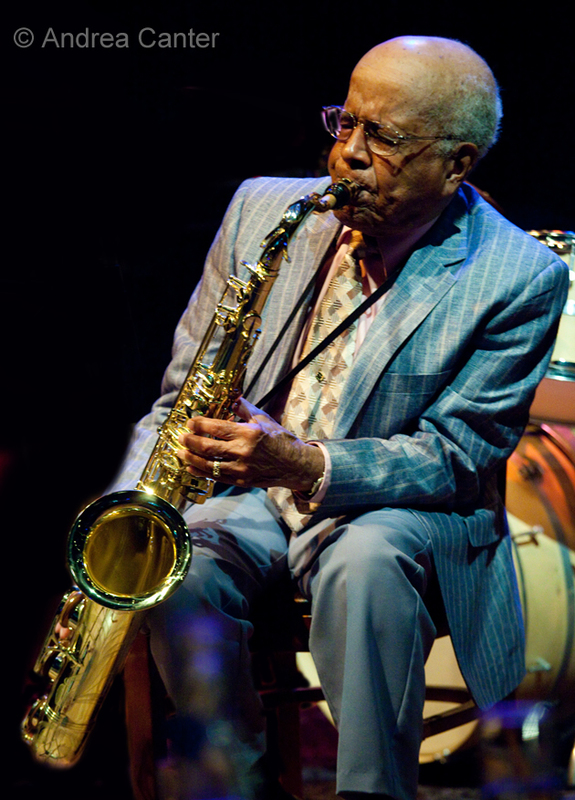 The BBC said it well – “One of those rare characters celebrated as much for their intelligent pronouncements on jazz as their ability to play it.” And talk about it. Ben Sidran is always an educational as well as musical experience. 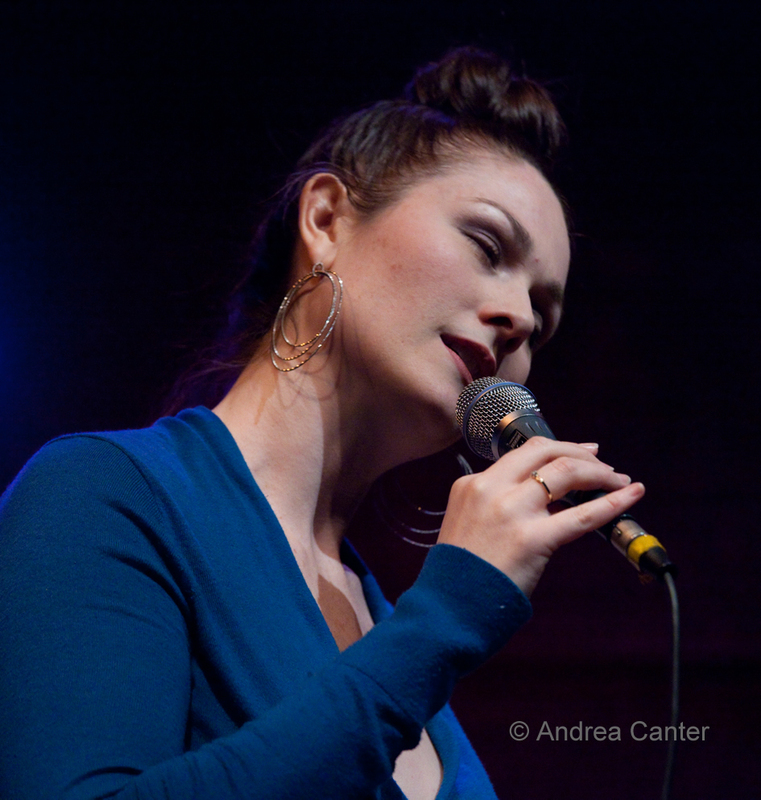 Long-time musical collaborators, monster pianist Tanner Taylor and swinging singer Nichola Miller partner in other life arenas as well, now as parents of future jazz star Charlie. Parenthood has made it more complicated for them perform together, so take advantage of the opportunity tonight when Tanner and Nichola swing the paint off the walls at Jazz Central.